Randy Adams is a producer and developer of Broadway musicals. 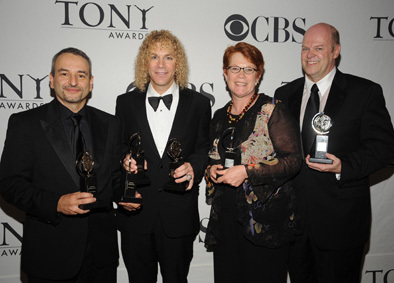 Together with his partners, he created and produced the musical Memphis, which won four Tony Awards in 2010. 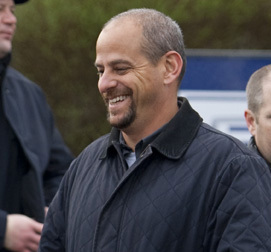 Marc Roskin is one of the founding partners of Electric Entertainment. The company is responsible for procuring, developing, and producing motion picture and TV projects. Currently, Marc is the executive producer and director of the television show Leverage on TNT. Jun Kuribayashi is currently the Dance Captain for the Pilobolus Dance Theatre. The theatre is internationally renowned for its imaginative and athletic exploration of creative collaboration. Mark Amin has earned credit in over 50 feature films ranging from low budget independents to television films and major studio productions as vice chairman of Lionsgate Entertainment and CEO of Sobini Films. He founded what became Trimark which later merged with Lionsgate Entertainment. Under Amin's leadership, Trimark Holdings, Inc. developed into one of the entertainment industry's leading publicly traded, independent production and distribution companies. His film credits as executive producer included Eve's Bayou and he spearheaded the acquisition and distribution of Swimming with Sharks, starring Kevin Spacey and Frank Whaley. In 2002, Mark executive produced Frida with Miramax Films, which has garnered six Academy Award nominations. Sobini Films has produced independent films including The Prince and Me (2004), starring Julia Stiles and Peaceful Warrior (2006), starring Nick Nolte. Current films in production include Hemingway and Fuentes (2010). He established the Mark Amin Scholarship in Film for Iranian students within KU's Film and Media Studies Department. Amin earned his undergraduate degree in economics from KU in 1972 and an MBA from UCLA. Ann Hamilton is a visual artist internationally recognized for the sensory surrounds of her large-scale multimedia installations. Noted for a dense accumulation of materials, her environments create immersive experiences that respond to the architectural presence and social history of their sites. Born in Lima, Ohio, in 1956, Hamilton received a bachelor's in textile design from KU in 1979 and an master's in sculpture from Yale University in 1985. Among her many honors, she has been a recipient of the Heinz Award, MacArthur Fellowship, Guggenheim Memorial Fellowship, NEA Visual Arts Fellowship and United States Artists Fellowship, and she was chosen to represent the United States at the 48th Venice Biennale. In 1992, she established her home and practice in Columbus, Ohio. She is a professor of art at Ohio State University. 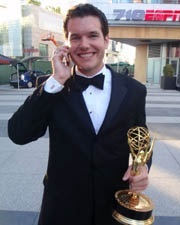 Chris Martin is an Emmy Award-winning visual effects supervisor whose credits include both television and film projects. Martin works for Stargate Studios in Pasadena, Calif., where he turned a two-week internship into a full-time job. He has gained a variety of special effects skills through successive roles. He won an Emmy in 2009 for his work on the television series “Heroes.” He has done work for other popular shows, including “Grey’s Anatomy,” “The Office” and “24.” Martin mentors students pursuing a degree in film and media studies at KU and is also active in the Hollywood Hawks group in Los Angeles, an alumni networking group for Jayhawks in the entertainment industry.